I have been living in the beautiful Harz region for 35 years - where other people spend their holidays. I love my home country, and I like to be on the road here, because there is something new and exciting to discover everywhere - in the colourful half-timbered towns, in nature, in museums and galleries... That's why I will be happy to help you plan your stay with tips for hiking, sightseeing and restaurants. The Harz Mountains are among the most beautiful hiking regions in Germany. I'll take advantage of that! Whenever I have a few hours to spare, I lace up my hiking boots and am in the woods. If the free hours are scarce, you will find me in the garden. I need nature for relaxation and know from my own experience great viewpoints, hiking routes and nice rest stops in the eastern and western Harz mountains. I attach great importance to good food, enjoy cooking - especially new recipes and company - and of course I also like eating out. When I travel, I prefer to travel by sea - the rough North Sea is the most beautiful one in the cold season, because I'm not a beach lazy guy:) Most of the time, you long for what you don't have in everyday life. My house in the beautiful half-timbered town of Wernigerode is situated close to the historical city centre, but it is also a perfect starting point for beautiful walks in the woods around Wernigerode. 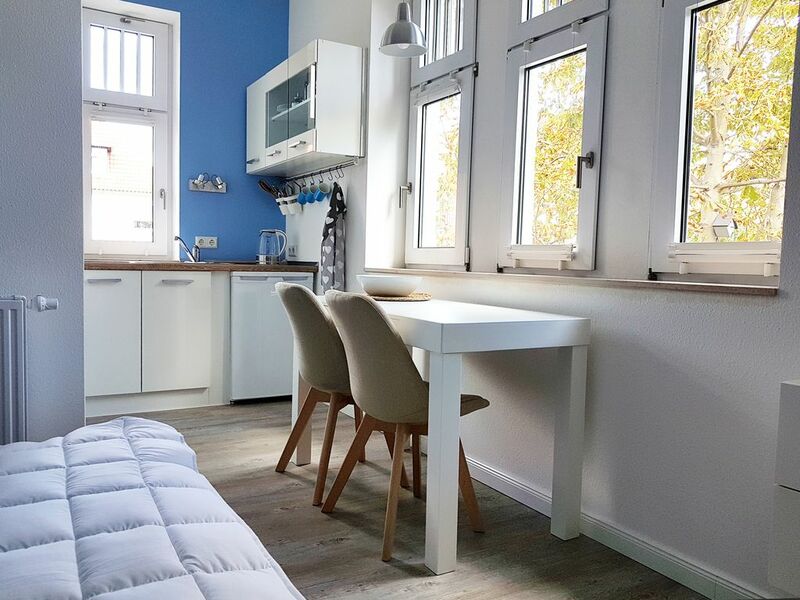 Gemütlich und modern eingerichtete Ferienwohnung. Sehr sauber und gepflegt.